Layout designers rejoice: CSS finally has an update that will make your lives easier. 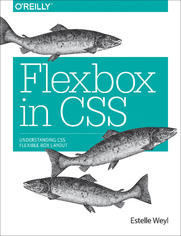 Flexible box layout, often called Flexbox, frees you from the challenges of creating layouts with floats and padding? and lets you specify containers and their contents instead. The new model means you can specify the directions in which material flows, how content wraps, and the ways components can expand to fill a space. Whether you've been creating large sites or small, fixed sites or responsive sites, flexbox will simplify your work.